definitely a pronunciation task but hörstreich from augsburg, germany don't sound a bit like you'd expect them to. take the franz out of ferdinand, stirr it with sticky hooklines and then smash it all up with loads of furious rock'n'roll. a mind boggling craze that will screech to a brake just before it reaches disaster and leave the crowd all over excited and desperately longing for more. 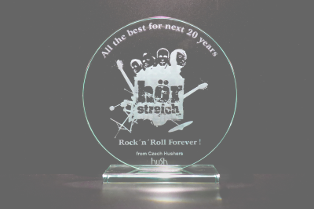 while their hometown augsburg is growing to become famous for german pop music, hörstreich keep on playing their own game. it's noisy, but friendly, fierce but beautiful, and it's got all you need, if toe tapping just isn't quite enough. 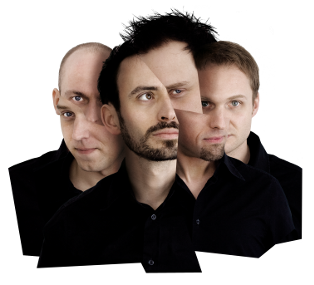 hörstreich have been touring for more than thirteen years and recorded 7 lps. with gigs all over germany and europe (gb, cz, fr) they have made a racket in many places and got people jumping many times. besides open airs, clubs and festivals, they have also gigged unique occasions like supermarket concerts and an unplugged tour through augsburgs pubs or the london architecture biennale. and there sure is loads to come!